Until 1984 – basketball player in the national basketball league (Maccabi Haifa). 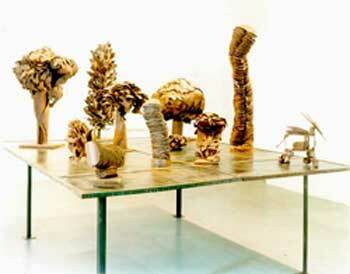 From 1985 – worked in art, principally sculpture, with various materials. 1998 – BA in creative arts, Haifa University. From 1997 – sculpt in iron with an individual technique based on cutting, welding and assembly of a basic shapes, the chief of component of the technique being the “softening” of the material and its “domestication” into the desired shape. 1999 – 05 – Route of art work, Wadi Nisnas-Biet Hagefen, Arab-Jewish Center, Haifa. 2000 – “Soft iron”, Beit Hagefen Gallery, Haifa. 2001 – Knights Halls, Acco. 2002 – Song of Ascending – Okashi Museum of art, Akko. 2003 – Maritime Museum, Haifa (group show). 2004 – On the point of the spruce – photographs, Haifa Theater. 2006 – A Present for Eve & daughters – Seamgallery, Art gallery, Moshav Megadim. Sculpture Garden. Open Museum, Tefen. “Castra” – Freud street, Haifa. Yavin farm, Moshav Ein Habasor. 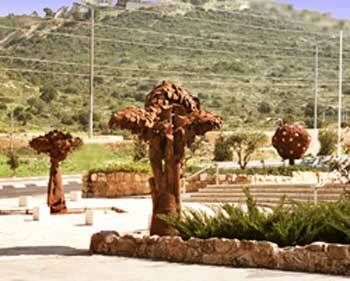 Scalpture Garden, Medicl Center, Tel Hashomer.